The fragrance is placed under the sign of infinity, a symbol in the shape of an “eight” which was already hinted at by the Art Nouveau scrolls of Rene Lalique’s jewels.Pure, shimmering bergamot lights up the tangy flesh of a rose-scented lychee. 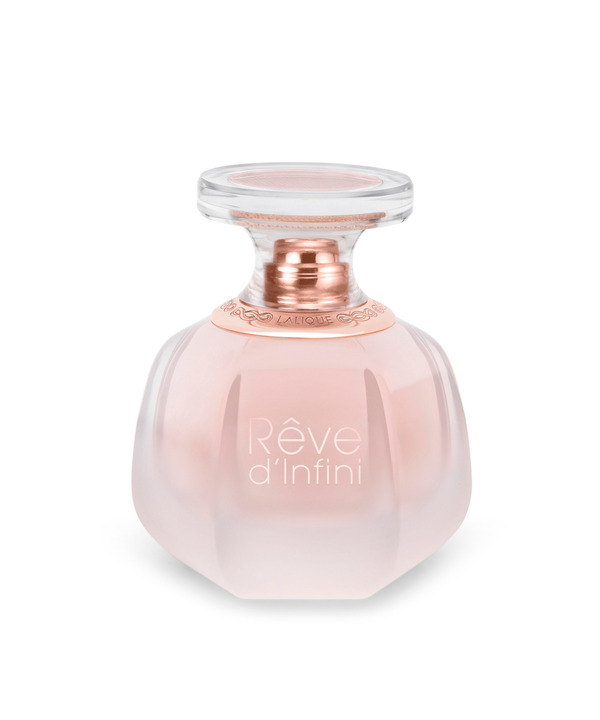 Freesia, whose fragrance blends the nectar of fruit with the headiness of jasmine, introduces the floral heart of Reve d’Infini. 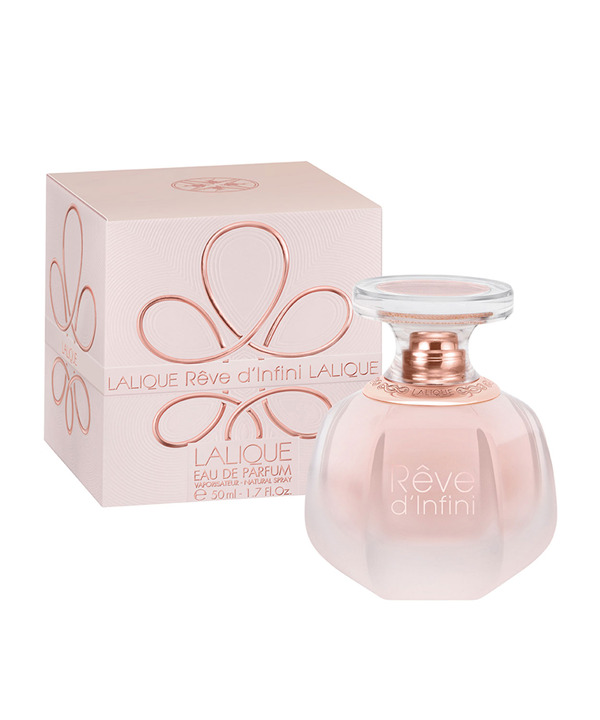 An elegant rose absolute, softened by a satiny, freshly picked peach, and bolstered by forceful cedar wood. A silky dry-down of vanilla, musks and sandalwood prolongs this subtle harmon.